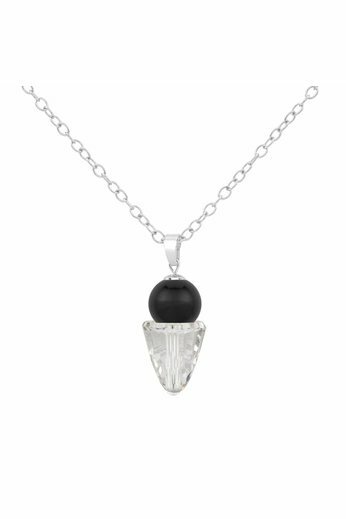 Sterling silver chain necklace with a black Swarovski crystal pearl and transparent Swarovski crystal cone pendant. Length necklace: 40-45 cm. Pendant: 3 cm, pearl 12 mm and crystal 15 mm. 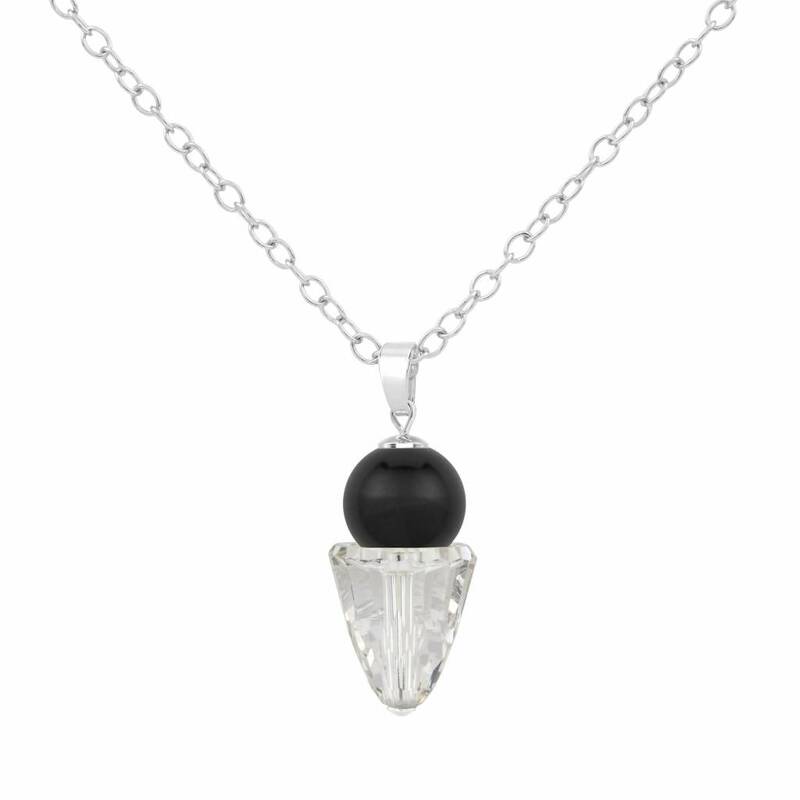 A unique and elegant necklace with a sparkling pendant with a black pearl and transparent Swarovski crystal cone. Swarovski crystal has a diamond-like effect, a high-quality finish, a sparkling look and is an excellent affordable alternative to diamonds. 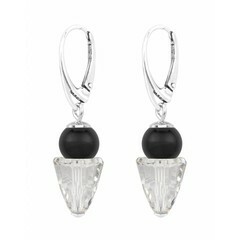 With this necklace you have a beautiful eyecatcher. There are matching earrings. The necklace is adjustable in length and is sent in a mat black jewelry box and gift wrapped free of charge.